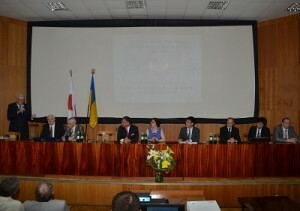 The completion ceremony of the Japan-Ukraine joint project for strengthening nuclear security of the Kharkiv Institute of Physics and Technologies (total amount of the project – 173 million JPY) was held on 28 May, 2015 in Kharkiv, Ukraine, with the attendance of government officials of the both States. 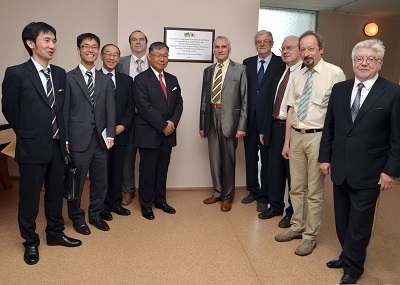 During the ceremony Mr. SUMI, Ambassador Extraordinary and Plenipotentiary of Japan to Ukraine and Academician NEKLYUDOV, Director-General of the Kharkiv Institute unveiled a plaque commemorating the successful completion of the bilateral project, and Ambassador Sumi commended the KIPT project management team for their dedication and commitment to the important work for nuclear security. 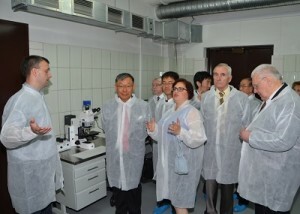 As the first undertaking between Japan and Ukraine within the “Global Partnership against the Spread of Weapons and Materials of Mass Destruction”, this cooperation established the state-of-the-art mass-spectrometry system for analysis of the Soviet-origin nuclear materials in bulk form, and upgraded the perimeter protection system against growing threats of terrorism. The Ukrainian side expressed their appreciation for the Japanese assistance in strengthening nuclear material accounting capabilities as well as enhancing reliability of security system of the leading nuclear-radiation research institution in Ukraine. Go to the similar topic on the website of the Embassy of Japan in Ukraine.